Colorful fishing boats anchored in the river at Nha Trang, Vietnam. 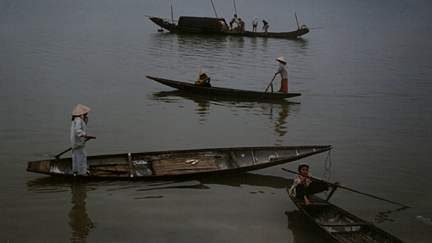 Small river boats on the Perfume river near Hue, Vietnam. 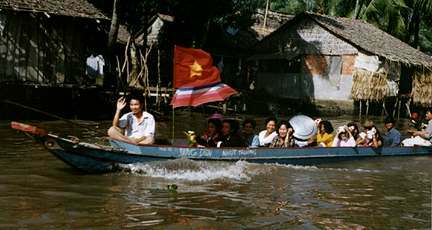 Wedding party on one of the many canals of the Mekong Delta of Vietnam. 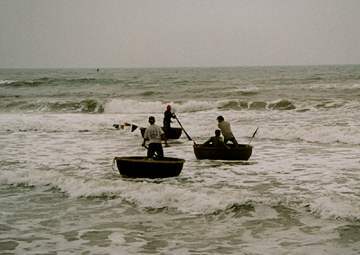 Perfectly round fishing boats that are rowed using one oar. They are woven out of bamboo and then waterproofed with tar. 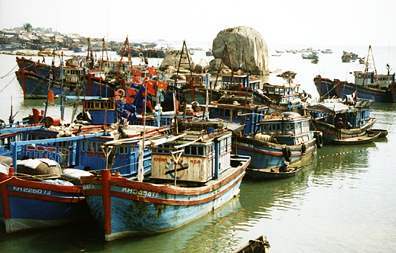 These were just coming back from fishing in the ocean near Hoi An, Vietnam. 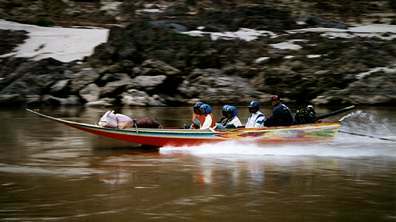 One of the speedboats that ply the Mekong between Luang Prabang, Laos and northern Thailand. I went upriver on a cargo boat that took three days, but these boats make the same trip in 6 hours! 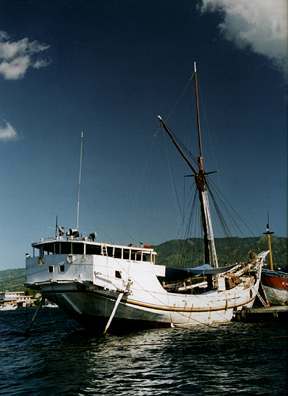 A Makassar schooner at Ende on Flores Island, Indonesia. These sailing vessels are still used throughout Indonesia for carrying cargo.